Dad: Ryan, be nice. Don’t say that. 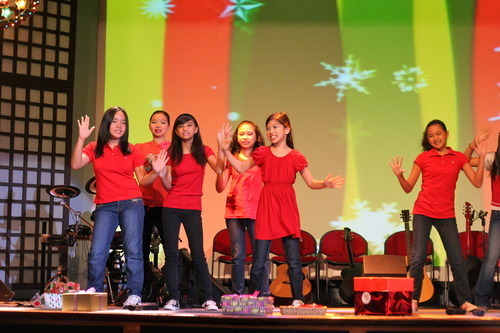 Janina’s Musical Theater class performed during their Christmas program. 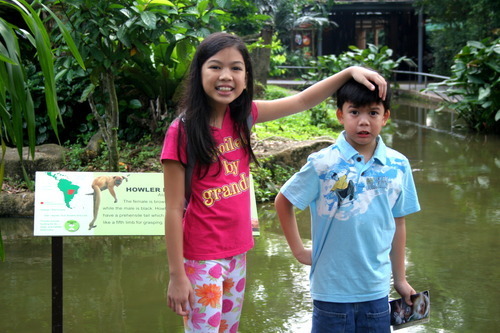 Of course, as a mom, I would say that she did very well and really performed like a star. Their class has been practicing for weeks and Janina was very excited because she was given several solo parts. But a week before their performance, she came home to tell me that her teacher took away her solos without any explanation and has given them to the other students. I felt how devastated she was because it did seem unfair for her teacher to do that. I am so proud of Janina! I am amazed at how quickly she was able to get up and move past her disappointment and sing unaffectedly by the change of events. She did shine!